Thanks for contacting WooRank, your message has been sent. We are happy to reply during our business hours, Monday - Friday from 9 AM - 6 PM (CET). Looks like you’ve had a chance to try WooRank. Sign-up a free 14-day trial for unlimited reviews and unlock all of the features with a Project. Unwrap WooRank’s features! Totally free for 14 days. Optimize one website at a time with a Project including backlink analysis, mobile friendliness test and more! Track 50 keywords in Keyword Tool for position, volume and performance. Use Site Crawl to crawl up to 2000 pages for technical errors and content issues. Stay on top of your progress with weekly Email Digest updates. Monitor your website 24/7 and receive Uptime Notifications if it goes offline. WooRank Help Center and online support available day and night. Available in 6 languages: English, Spanish, French, German, Portuguese and Dutch. Projects for up to 5 websites. Create and download white-label PDF reports customized with your branding. Track 250 keywords with Keyword Tool. Crawl 10,000 pages with Site Crawl. Priority support whenever you need it. Anyone can try WooRank for free during their 14-day free trial period. That’s full access to Reviews, Projects, Keyword Tool and Site Crawl for 2 weeks. So we won’t charge your credit card or PayPal account (except for a $1 hold to validate your credit card) until your trial ends. During this time we’ll help get your WooRank account up and running so you’ll be able to get the most out of your trial. In that 14-day window, you can cancel your trial with 0 commitment on your end. At the end of your trial, we’ll send you a quick heads up that your WooRank subscription is about to begin and we’ll then charge your credit card or PayPal account. WooRank has a 48-hour refund policy, so if you forget to cancel your subscription we’ll be happy to refund your payment the next two days. Please contact us at support@woorank.com. In general, refunds can take a couple of days to be reflected on your credit card or PayPal statements. Refunds issued to international credit cards can take more. We apply the appropriate VAT to all customers based in the European Union. We base VAT charged on the country of the customer’s credit card or PayPal account. Check your country’s VAT amount here. Check your VAT number’s validity here. Please note that, as required by Belgian law, we charge VAT to all Belgian-based customers. You can add your VAT number to your account by updating your account information in your My Account page. 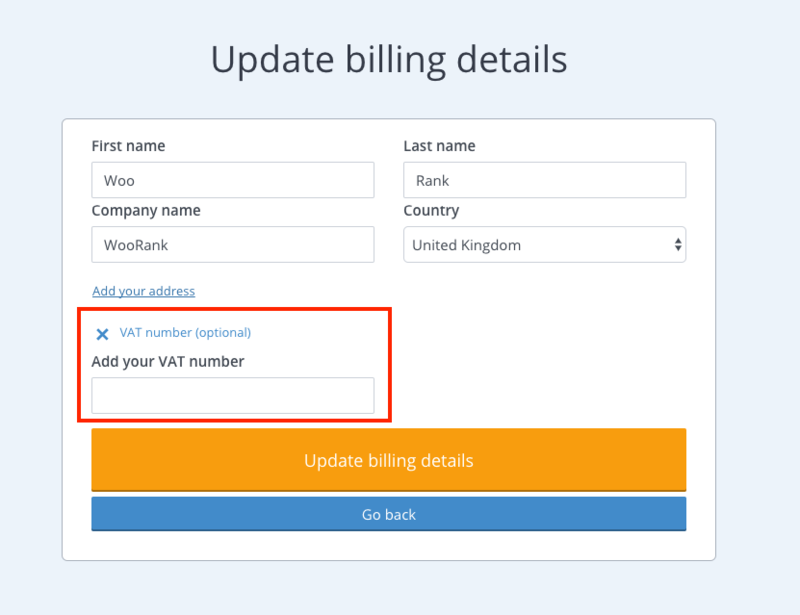 If you have any issues adding or updating your VAT number, please contact us at support@woorank.com. Currencies and prices shown on our pricing page and your invoice/receipt are based on the location of your IP address. Your credit card or PayPal account is charged in the currency displayed on your invoice/receipt. Any account that was created before May 26, 2016 will continue to be charged in US Dollars. If you have any questions about accepted currencies or payment methods, please contact us at support@woorank.com. When you first sign up with WooRank, we’ll place a small (usually $1) hold to make sure your payment information is valid. We’ll release this hold at the end of your trial. None of this money actually changes hands. When your free trial ends, your WooRank subscription begins. 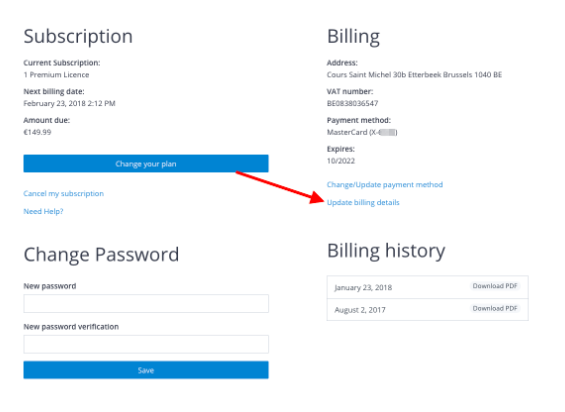 This is when you’ll make your first payment based on the plan you selected on signup. WooRank has a 48-hour refund policy, so if you get charged, no worries, you may contact us for refund within this period. 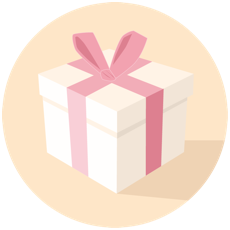 We’ll charge your credit card or PayPal account for the full amount of your subscription on this day every month while your subscription is active. If you need to cancel your account, you can do so from your My Account or at support@woorank.com. Feel free to contact us and we will be glad to answer any questions you may have.